Envisioning a sustainable future for the world, we have aligned our business goals to the global vision of creating a healthy eco-system for nurturing holistic growth and development. We believe in promoting responsible growth through sustainable practices across the value chain of our business, with strategic interventions for the uplift of the underprivileged communities. We collaborate with local community groups to identify and bridge the gaps in the social and economic progress of the weaker sections of the society. Intensive internal deliberations are undertaken with all the stakeholders to identify and prioritize projects for implementation. The thrust is on ensuring that the benefits of our CSR initiatives percolate to the most deprived sections, particularly in the field of education, healthcare, sanitation, community welfare, skill development, employment generation, infrastructure development, promotion of national heritage & culture etc. Rodic learned about the delipidated condition of the science labs of Government Girls Inter College, Rajpur Road, Dehradun. The Government Girls Inter College was setup by the State government in 1961 and since then it has gone of changes in overall facilities and capacity of the girl students. Though it is considered a prestigious Government educational institution, it has faced paucity of funds leading to the deterioration in some of the infrastructure. 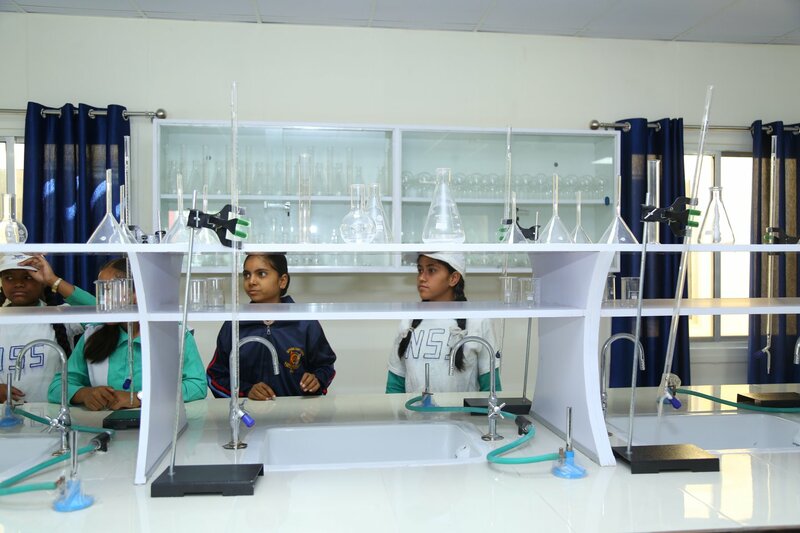 Rodic management took a decision to donate three numbers of fully functional science labs (Chemistry, Biology and Physics) to the Government Girls Inter College, Rajpur Road, Dehradun. Beginning 13th October 2017, RODIC has sponsored an All India Cycling Expedition of 2 NCC Cadets Harsha Mishra and Sawitri Murmu. 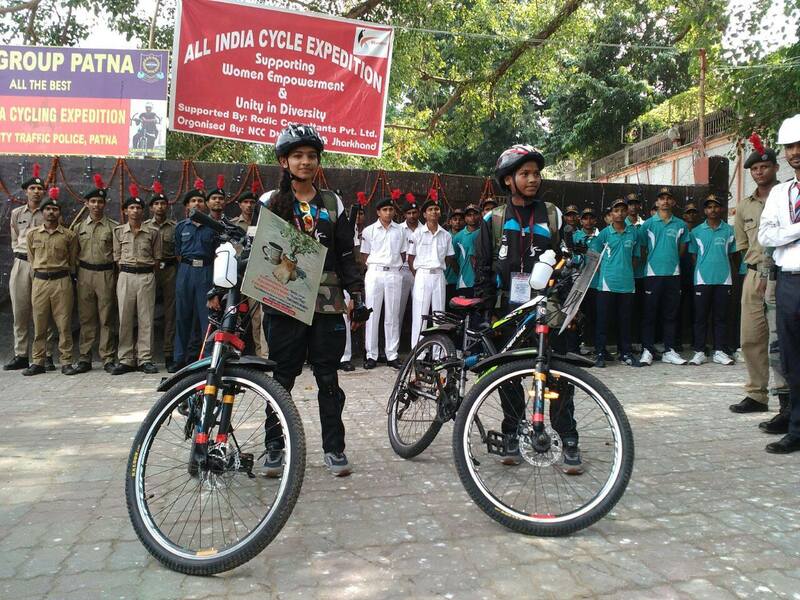 The NCC Cadets embarked from Patna and plan to cover 25,000 kilometers. The twin themes of their expedition are “Unity in Diversity” and “Women’s Empowerment.” As Harsha and Sawitri traverse the length and breadth of the country to spread these messages to all corners, their journey is being documented live on RODIC’s Facebook page. Besides sponsorship and live tracking, RODIC also plans to felicitate these brave Cadets as they reach all the different RODIC’s regional offices. Through this initiative, we provide access to poor children to reading material, in both Hindi and English. We have established a mobile library for such children in association with an NGO – NIMITTA. The library reaches out to more than 500 children in the 4-14 age group, residing in nine villages of Kanke block, Ranchi. In association with All India Medical Sciences (Trauma Center), our employees have conducted several blood donation camps, proving a life-saver for many needy people. With Rodic’s initiative, for the first time fully functional smart classes have been established in three government schools of Dist. Chandauli, Uttar Pradesh. Aditya Narayan Rajkiya Inter College in Chakia, Rajkiya Balika Inter College in Saiyadraja, and Rajkiya Inter College in Naugarh are now upgraded to a whole new level with 55 inch LED screens, speakers, inverter, battery, 2TB hard disk and 16GB pen drive. Students can now experience digitized and better learning with advanced internet connectivity and multidimensional display of curriculum information. The smart classes were inaugurated by our chief guest, the respected District Magistrate of Chandauli, Mr. Navneet Singh Chahal.